November 14, 2016 HockeyDraft.caLeave a Comment on Are the Flames Shopping Dougie Hamilton? 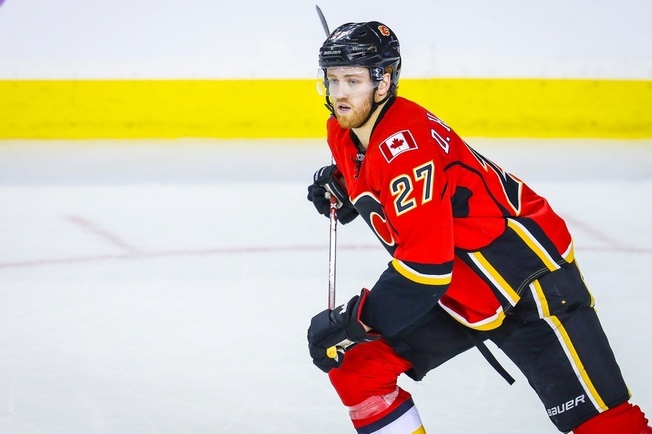 Are the Flames Shopping Dougie Hamilton? For anyone living under a rock, there are a few trade rumours involving the struggling Calgary Flames. At the top of the list is Dougie Hamilton, who was mentioned on Hockey Night in Canada over the weekend as the subject of more than a few phone calls. For the record, the Flames aren’t shopping the defenceman. But according to Sportsnet’s Nick Kypreos, teams like the Arizona Coyotes and Pittsburgh Penguins are interested. As of Sunday, the Flames had dropped four straight and six of their last seven. They’re the first team to hit double-digit losses in this young season, with a 5-10-1 record settling them sixth in the Pacific Division. So, something’s got to give, right? Teams sometimes get desperate when the going gets tough and Calgary isn’t immune to chatter, but there is a good case to be made for moving Hamilton if it yields something worthwhile. While the defenceman leads all Flames blueliners with six points, he isn’t getting a lot of ice time relative to his position. He’s also a minus-nine, plus he has 18 penalty minutes in just 16 games. The 23-year-old only played 14:39 against the New York Rangers on Saturday, but he was still a minus-three in that contest over the course of 19 shifts. To put that in perspective, Mark Giordano had 27:06 of ice time and broke even while generating six shots on goal in 30 shifts. There’s still a lot to like about Hamilton and he does make for good trade bait, especially for the Penguins. Pittsburgh has been looking for a defenceman to slip in behind Kris Letang on the right-hand side, what with Trevor Daley nearing the end of his contract. Hamilton fits that bill and has been widely credited for helping the Flames’ possession numbers, so that’s a plus. It makes little sense for Calgary to give up the defenceman for a song and that’s likely not in the cards, but there are some workable deals to address the Flames’ needs. Marc-Andre Fleury could be thrown in the mix, for example, and goaltending is something that has to be addressed for Calgary. As of right now, there are only rumours to discuss and that’s always problematic. But if there’s a takeaway from the Hamilton chatter coming out of Calgary, it’s that the Flames are willing to make a deal or two in order to elevate their circumstances before the season is lost to a porous defence and a disappointing goaltending group.